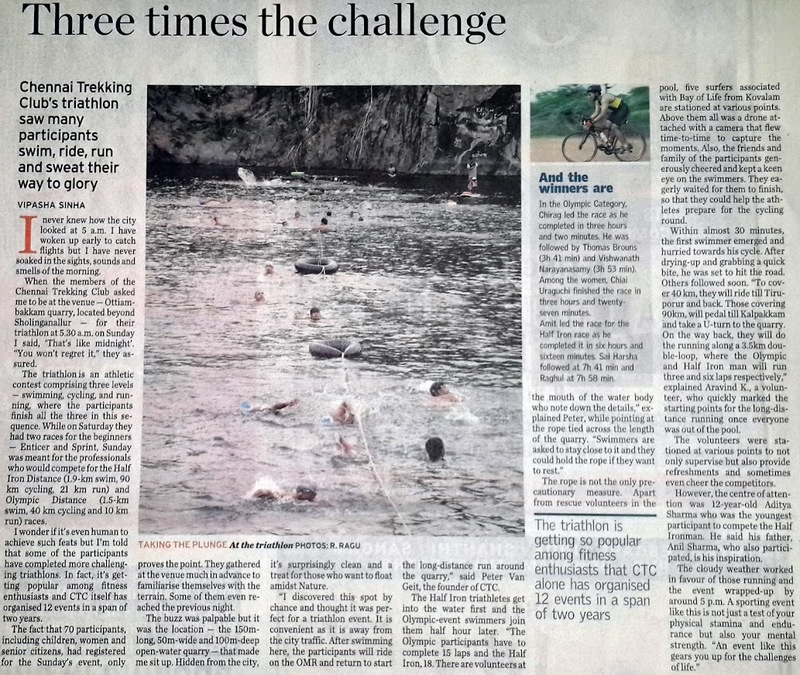 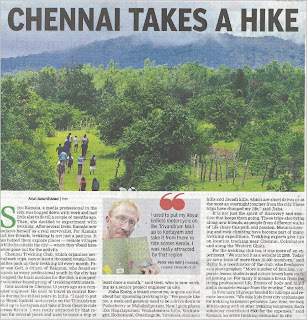 3 Eve's Times part1 and part2 on May 09 - Would you like to take a hike? 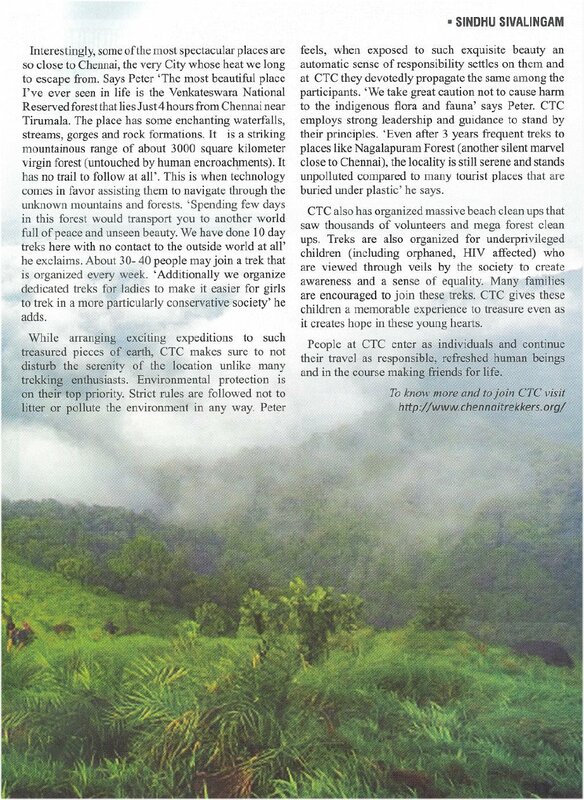 20 The Hindu, Oct 09 - Care to save Tada? 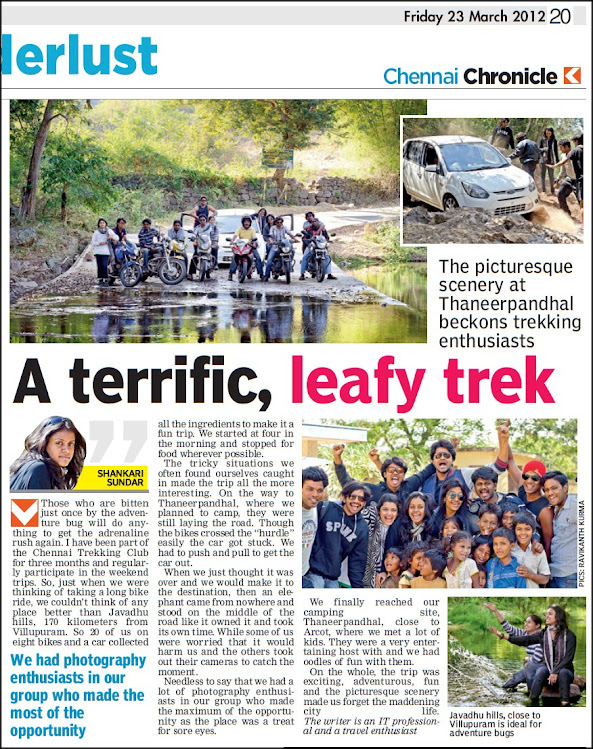 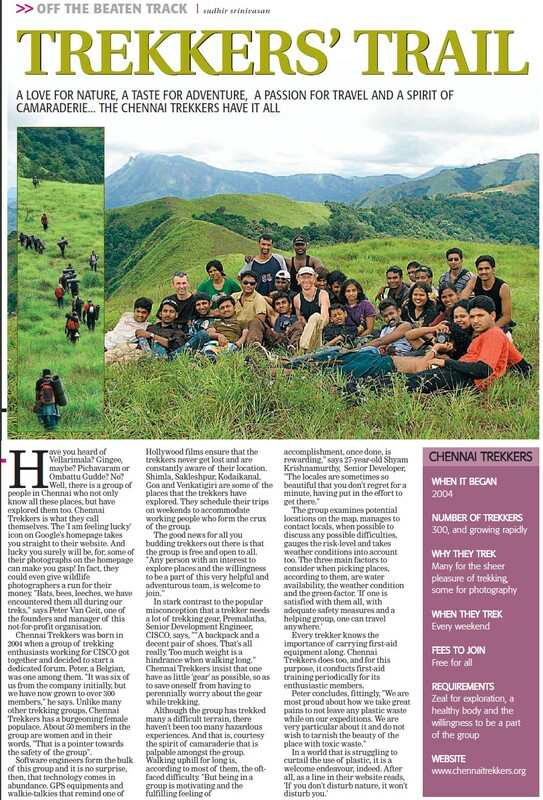 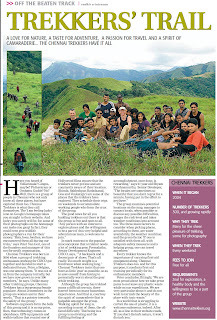 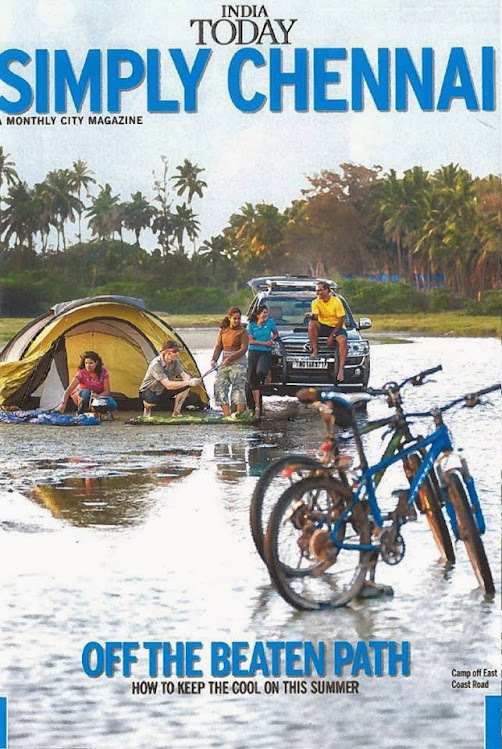 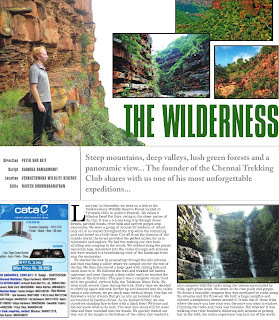 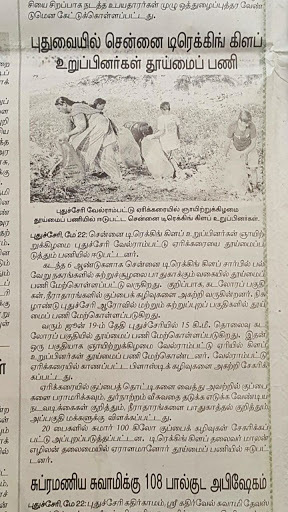 33 Chennai Online, Mar 10 - Trek Polamaa! 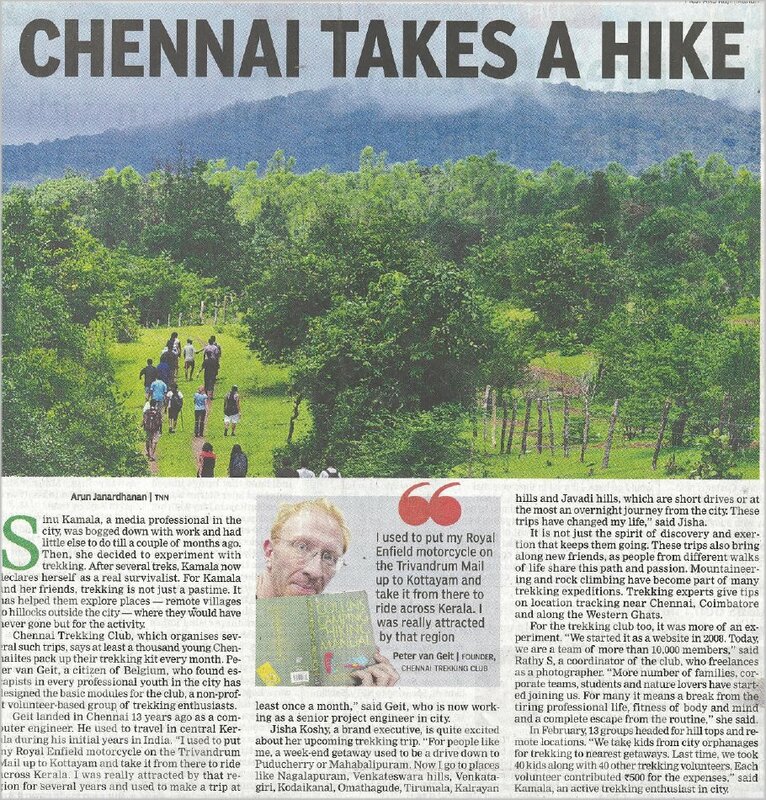 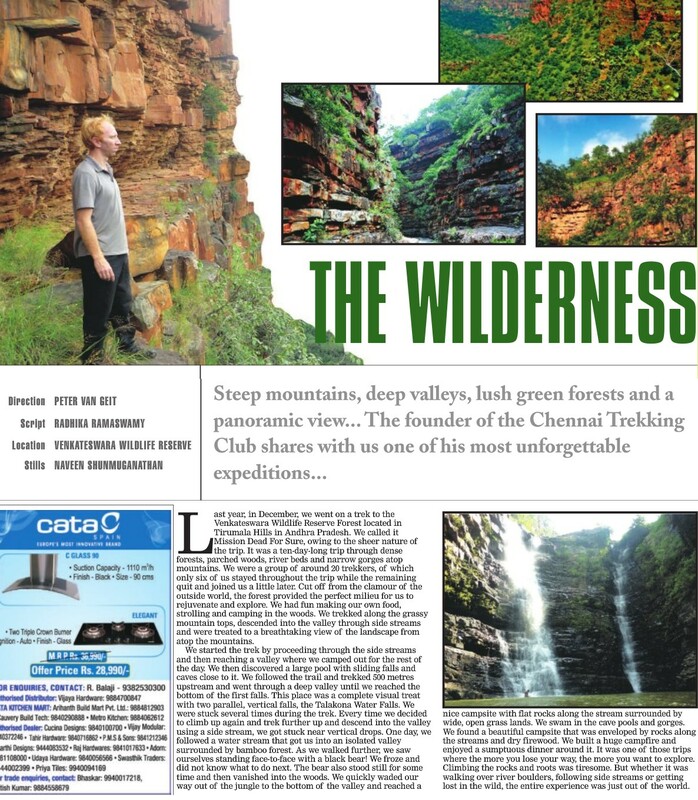 45 Times of India, Oct 10 - Take a hike! 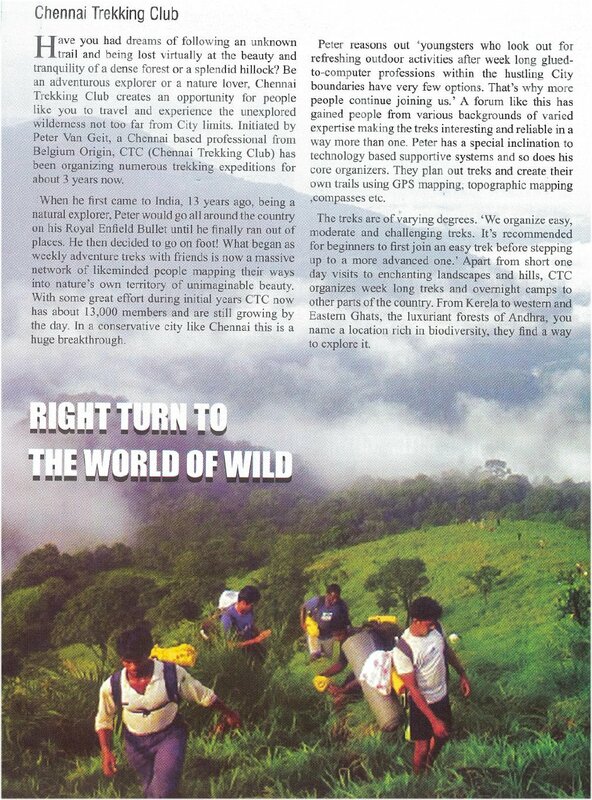 109 - Metro Plus, Apr 13, Ready to hit the trail? 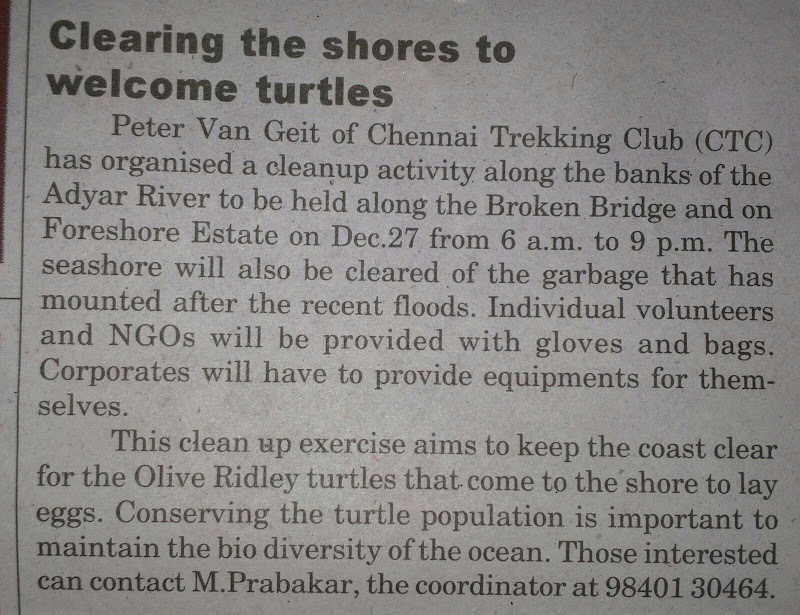 219 - Behind Woods, Dec 15, Let's do it Chennai - Namma Peter Pesuraru! 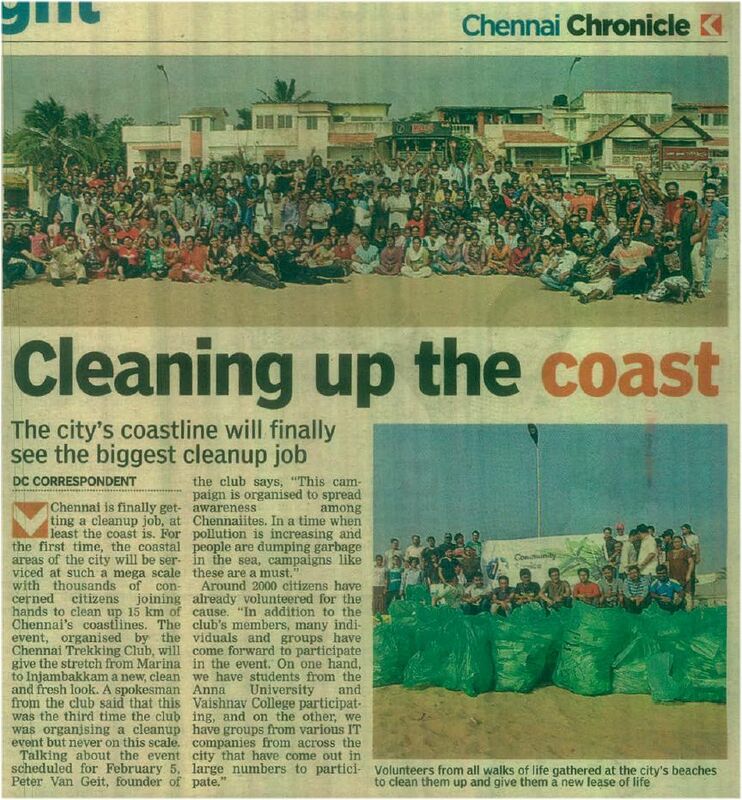 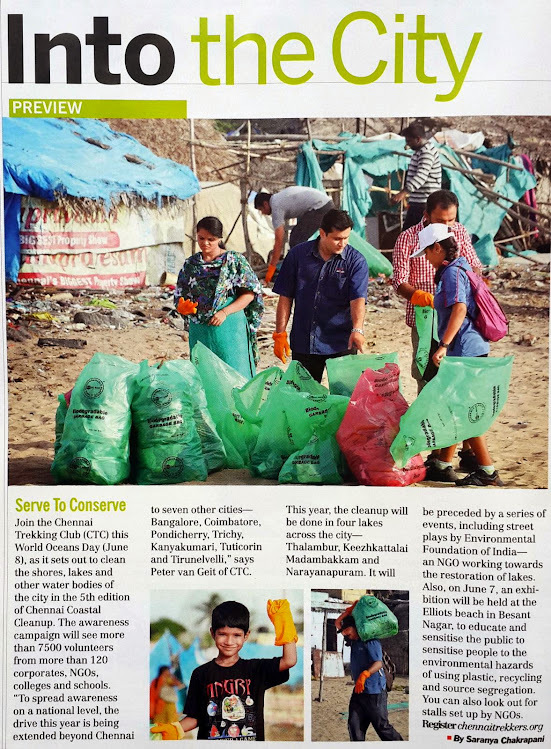 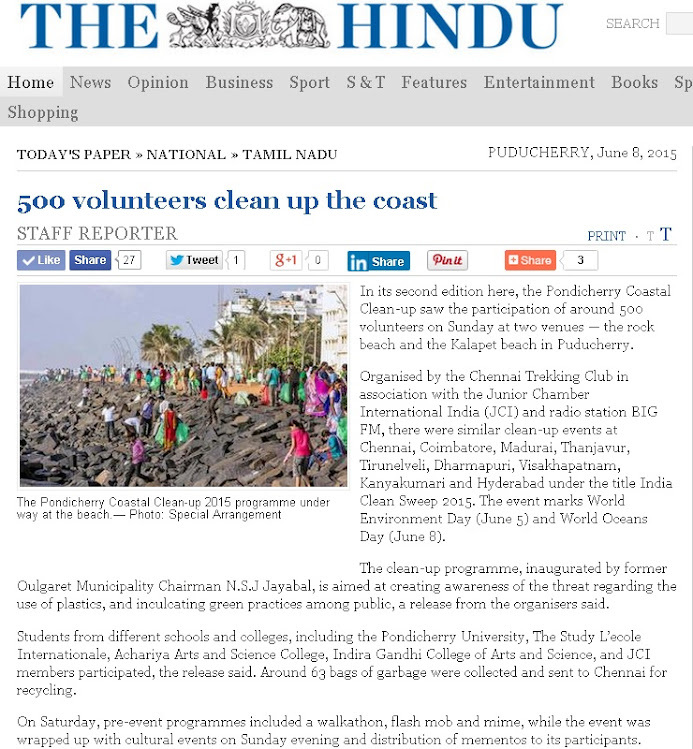 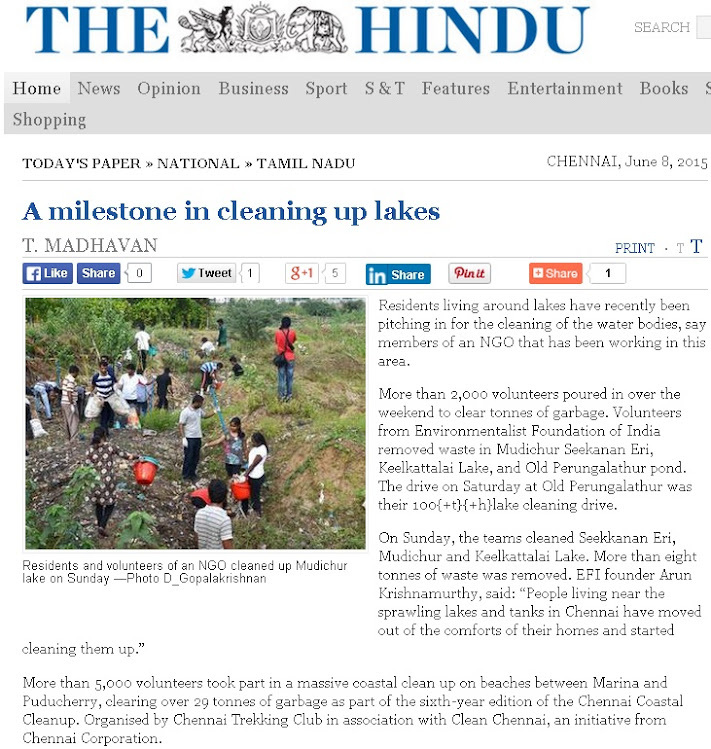 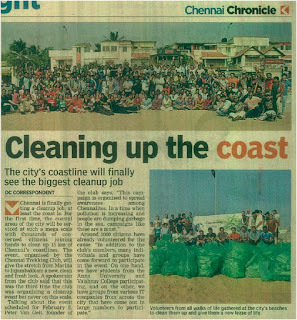 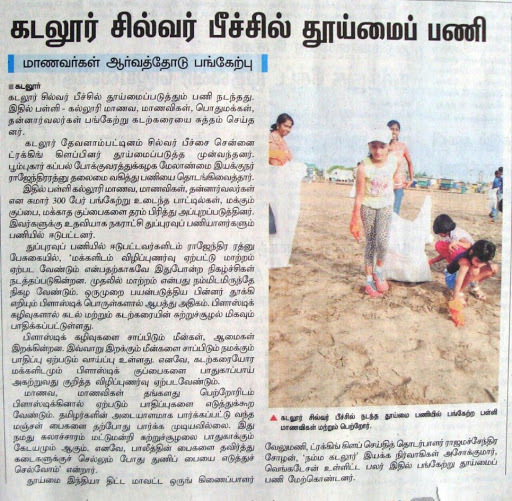 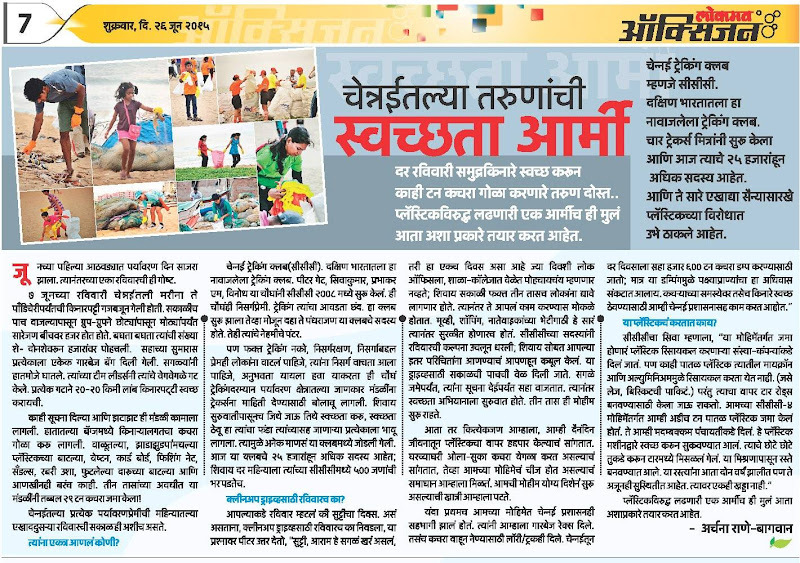 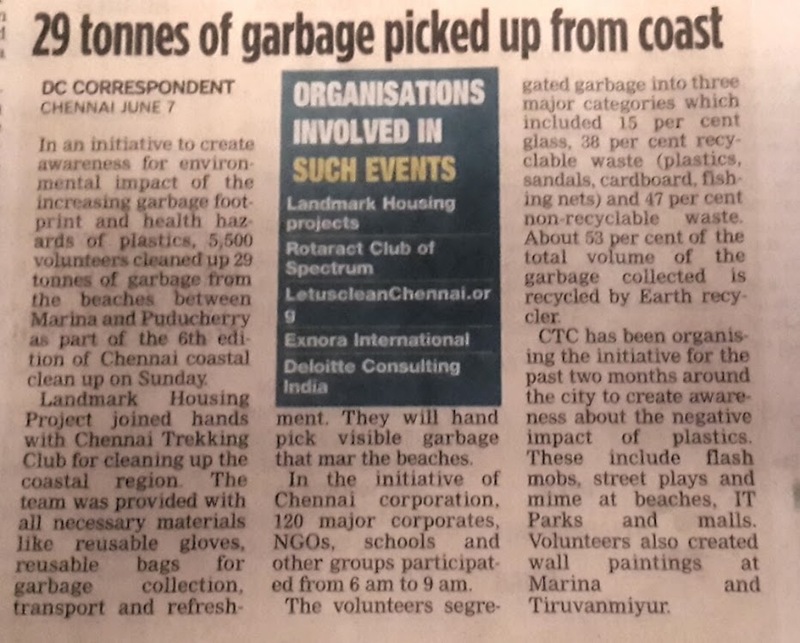 245 - The News Minute, June 16, Cleanup Up Marina, CTC shows the way! 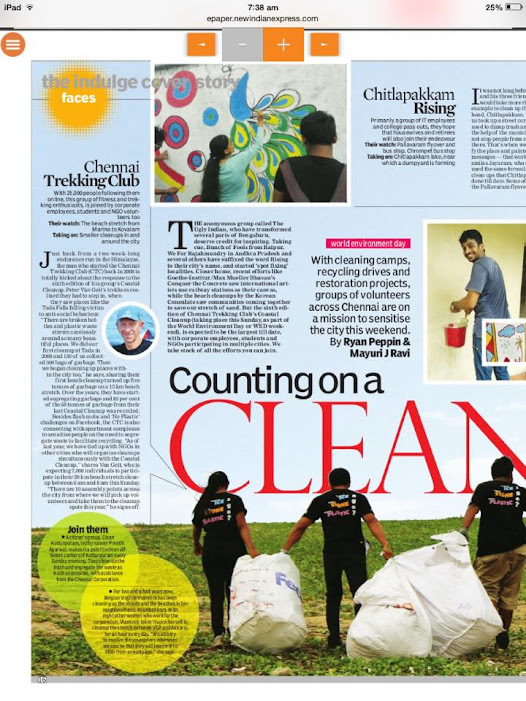 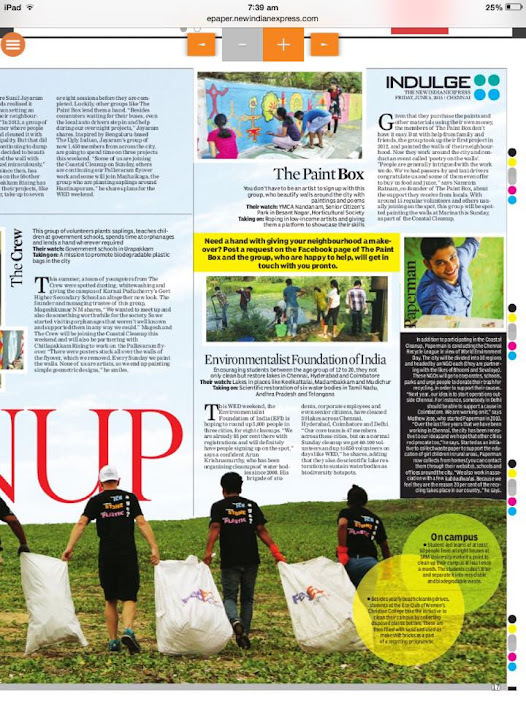 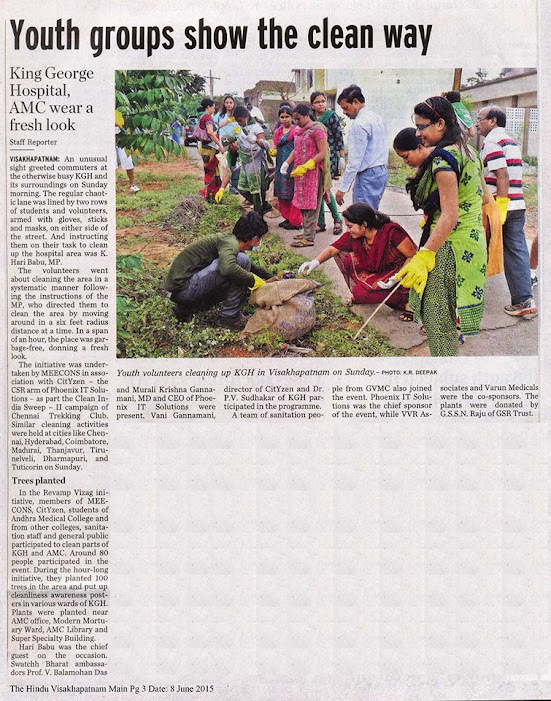 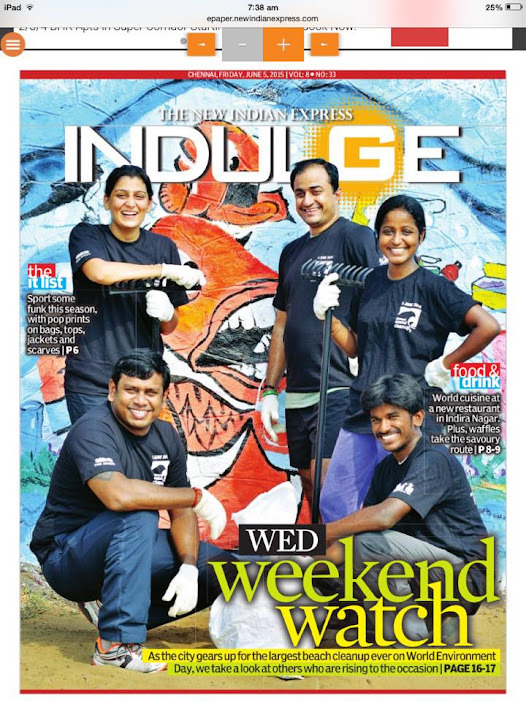 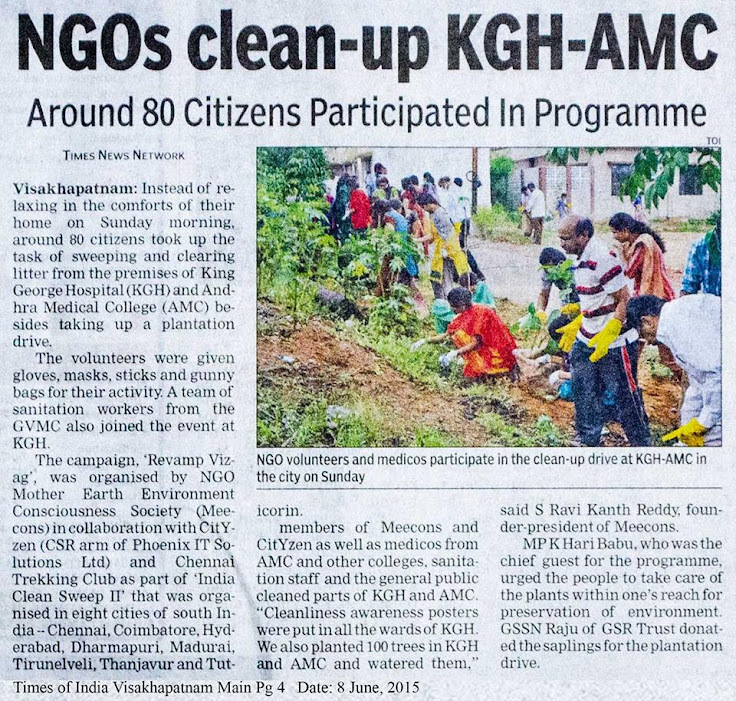 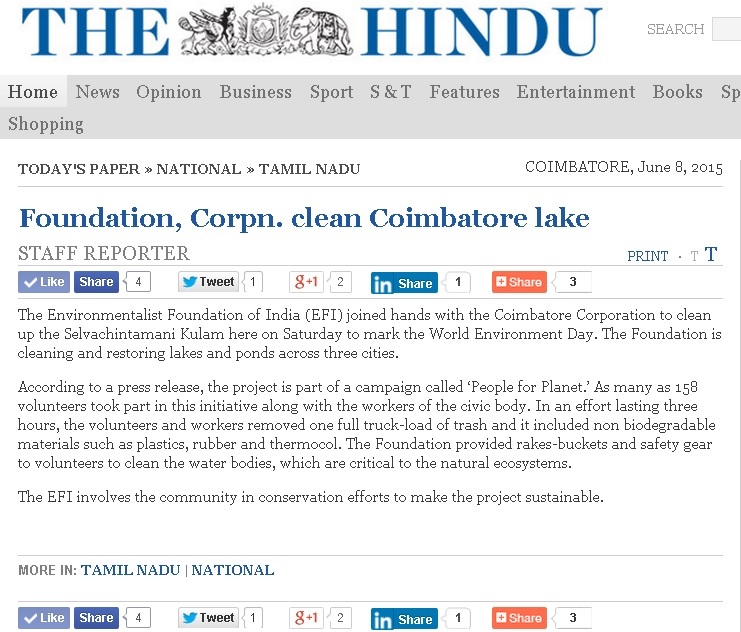 270 - Times of India, Aug 16, Can zero-waste Nochikuppam inspire corpn? 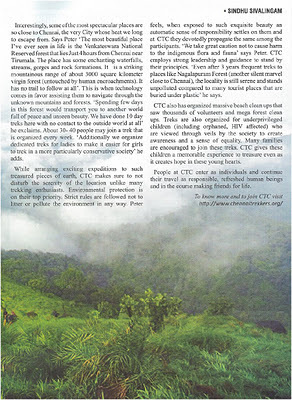 298 - The Better India, Feb 17, These Two Guys Ran the Auroville Marathon. 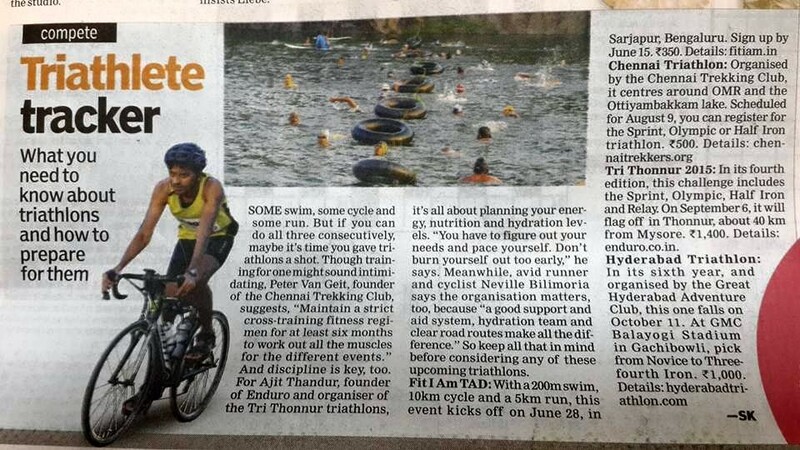 But They Ran 190 Km From Chennai to Pondy First!